Exceptional Voice Inc | We place exceptional value on your voice, because it's your business. A human voice is a gift; it should be cherished and used, to utter fully human speech as possible. Powerlessness and silence together. Exceptional Voice, Inc. is dedicated the helping you get the most out of your career by making the most of your voice. Let us show you how to develop the voice you have always wanted. We offer courses, coaching and workshops for improving your public speaking and improving your voice with executive voice coaching and our specially designed Powerful Woman-Powerful Voice© program. Many of our services for patients with speech and voice problems are covered by health care insurance. Whether it be conference calls, speaking on your personally or connecting via Skype, our team can help improve your communication skills. As you exhale, air gently passes through your throat, across your open vocal cords, and out your mouth and nose. 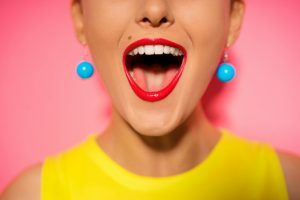 When you speak, your vocal cords close partially as air travels through them, causing vibrations and the unique sound of your voice. Your voice is the result of remarkable and complex interactions involving several body parts-especially the lungs, voice box (larynx ), and mouth. Damage to any of these body parts can lead to a voice problem. How does someone who relies on his voice for a living, such as an auctioneer, keep it in top form? You may be surprised to find out what it takes to keep talking up success. Korrey has been a professional auctioneer for more than 20 years, time he’s spent solidifying his sound. Leading auctions, sometimes for hours on end, has taught Korrey one important thing. “We’re not a machine,” said Korrey. “If it’s equipment breaks … a starter down … you put a new one in. Tickle in your throat that won’t go away? We understand how annoying this can be – especially if your tickle has been going on for weeks. 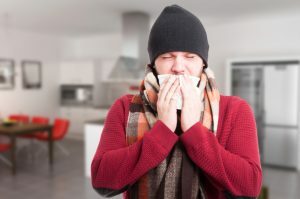 You don’t feel sick, it seems to go away during the day and then like clockwork, as soon as you lay down to sleep that tickle creeps up the back of your throat. Not only can that tickle keep you up at night, but the constant coughing can irritate more than your own throat…just ask your coworkers, family members or a new mom who finally got that baby to sleep.